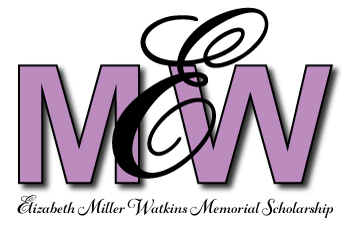 To honor the generous legacy of Mrs. Watkins, past residents of Watkins and Miller Halls, through Kitchen 8, established the Elizabeth Miller Watkins Memorial Scholarship Fund in 1998. We would like to thank all who have donated. It is amazing how one woman's vision can impact so many women's lives. The EMWMSF Advisory Board welcomes contributions so the Kitchen 8 Scholarship Selection Committee will be able to award even more scholarships to accomplished, deserving young KU women who have demonstrated financial need. Kitchen 8 is an all-volunteer organization, so 100% of your donation to EMWMSF goes directly to deserving students. All other Kitchen 8 activities and programs are funded by the Kitchen 8 "Sugar Bowl". Make a donation online by clicking the "Donate Now" button below.